Spotad specializes in real-time, programmatic advertising, powered by Artificial Intelligence technology. Spotad’s proprietary platform process huge amounts of data from millions of auctions in real time and utilizing versatile capabilities as automation, profiling and Multi-level AI algorithms providing constant optimization towards performance, improved ROI, users reach and volumes. Like any forward-thinking business, Spotad always kept one eye on their rising EC2 costs. Naturally, as the company went from success to success, these costs began to increase and Tal Maizels, CTO at Spotad, was determined to find a way to manage these rising costs. At first glance, Spot Instances seemed like a great possibility. After all, the proposition of having the exact same instances as On-Demand or Reserved Instances for around 80% less than On-Demand and on a pay-as-you-use model is a very appealing one. The issue, however, is that the complexities of Spotad’s environments meant that, whilst the savings and flexibility offered by Spot Instances were appealing, they were impractical to implement due to the increased demand it would place on their developers. 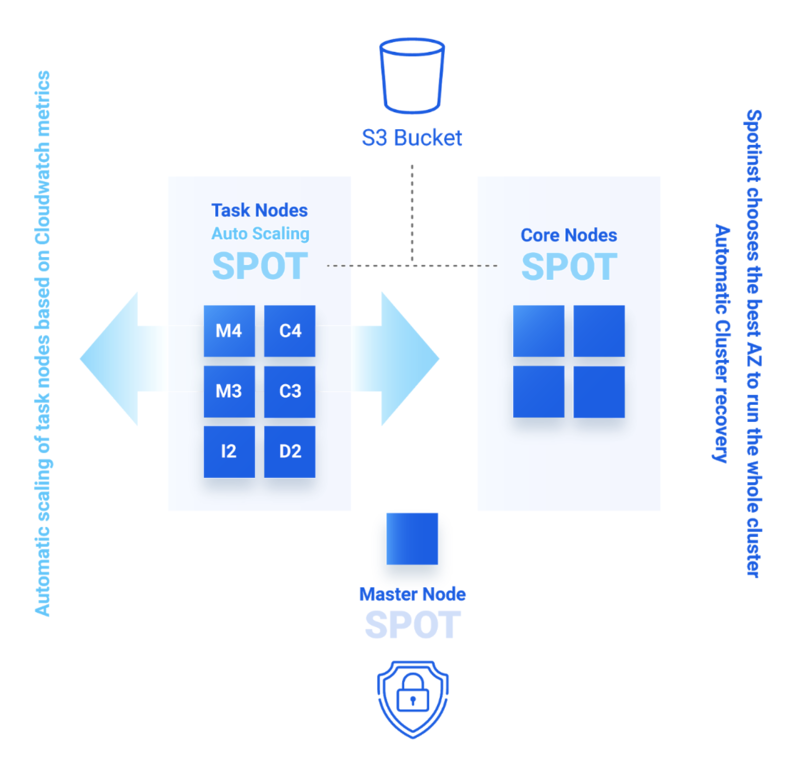 Environments such as EMR Clusters, which make up a significant part of Spotad’s AWS usage, would require the Spotad developer teams to develop a complex and intricate Spot Instance management tool on top of also performing their regular duties. Such an immense task was not practical, and could still result in termination issues and imperfections. What Spotad really needed was a pre-built platform that could help them utilize Spot Instances without the additional demands it would place on the Spotad developers. Amazon Elastic MapReduce (EMR) is a web service that simplifies big data processing, providing a managed Hadoop framework that makes it easy, fast, and cost-effective for you to distribute and process vast amounts of your data across dynamically scalable Amazon EC2 instances. Spotinst Elastigroup makes intelligent and reliable use of Amazon EC2 Spot Instances in your existing Amazon EMR cluster or your custom Hadoop environment. In addition to seamless management, the Spotinst algorithm will choose the best Spot markets in terms of price and availability. Spotinst also has a built-in auto-scale feature that scales task and core nodes up or down to achieve the best cost efficiency.